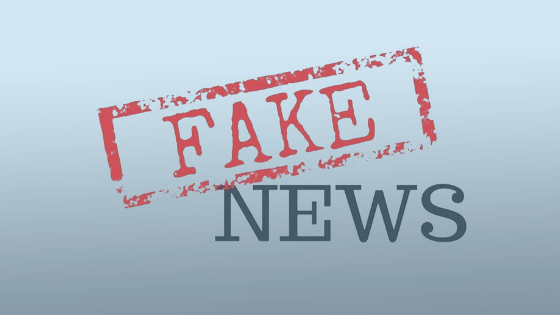 Fake news, misinformation, disinformation, yellow journalism or whatever name it goes by has become a real threat in this age of new media. Historically, rumours and fabrication of lies have been peddled over the centuries by rumour merchants with the intent to deceive and manipulate people. Why fake news has become a big issue is because of the spread of information is now theoretically infinite, meaning news doesn’t have a shelf life anymore. Also, the rise of citizen journalism has created an unequal control of information, because everyone is now a publisher of news. Eyes popping headlines on our social media feeds make it easier to share contents without reading or evaluating. These contents create a viral storm of sound bites without substance. whenever you want to share eye-popping information, check the credibility of the source. Many news sites and bloggers lack credibility. They can create and fabricate powerful and persuasive lies that can stir up people’s emotions. Some publishers use emotional headlines to deceive gullible readers. Most fake news site lacks quality and substance. The ideas are incoherent, shallow and lack fact to back up most hollow claims. Sometimes, irrelevant sources might be quoted to back up their lofty assumptions. Check the images, many old images has been recycled to back up many mundane claims. Do thorough research on the claims. Check if other credible news sources are carrying the news. Although this assertion is relative, because much mainstream news platforms are biased, sometimes will not carry news that might offend their principal and sponsors. Most news are cooked up by people who are paid to deceive you. Politicians doesn’t care about you. They can say anything to protect their political careers and interests. Last year, an aide of President Buhari showed pictures of N500 notes wrapped with a ‘take away’ shared at PDP campaign at Sokoto, after a fact check by The cable News, I realised that claim was fake. Remember, not everything is worth sharing, reposting, retweeting and forwarding.